Have you ever taken a handful of the sunlight then mixed it with pure, bright Mediterranean green and blue waters? Have you ever tried to take some of its fresh air to make what can be a shadow for the pine and peach trees? Have you ever thought about how nature gives gifts generously to fig’s trees which tell about paradise? Close to the high coves, in the laps of mountains, near the coasts of the Mediterranean, the beauty of nature is mixed with the mystic scene of islands which are as distant as our dreams. In fact, with its last breath, the day bids farewell to all creatures. The lover is cogitating about sunset that stamps him with eagerness to the eyes of whom he loves whether they are as green as prairie, as blue as sea, as black as night, or as brown as dreams. The intimate relationships between the Mediterranean and Anatolian hills and between classical arts and legends which tell the stories of the distant past will definitely excite your adventurous desires to go through the deep sea. Moreover, fantastic colors will leave you amazed and enthusiastic. Have you loved it so far? 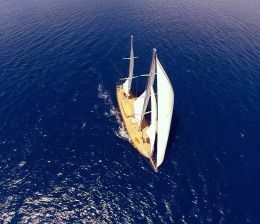 If yes, what do you think about having a cruise on the board of a motor yacht charter Turkey or on the board of a luxury, famous Turkish gulet? 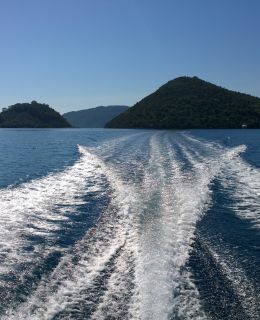 This special gift offered to you by Yacht Charter Turkey is to take you away from the daily life to have a holiday that you have never had before. 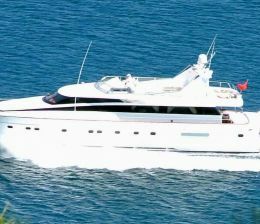 The best choice for you is to relax in the most wonderful Turkish cities overlooking the Mediterranean in the company of your family and the ones whom you love, so that you can spend a good time in which you will taste a new flavor of joy on board of yacht charter Turkey accompanied with a glass of Cappadocian wine or Turkish Raki (lions milk).